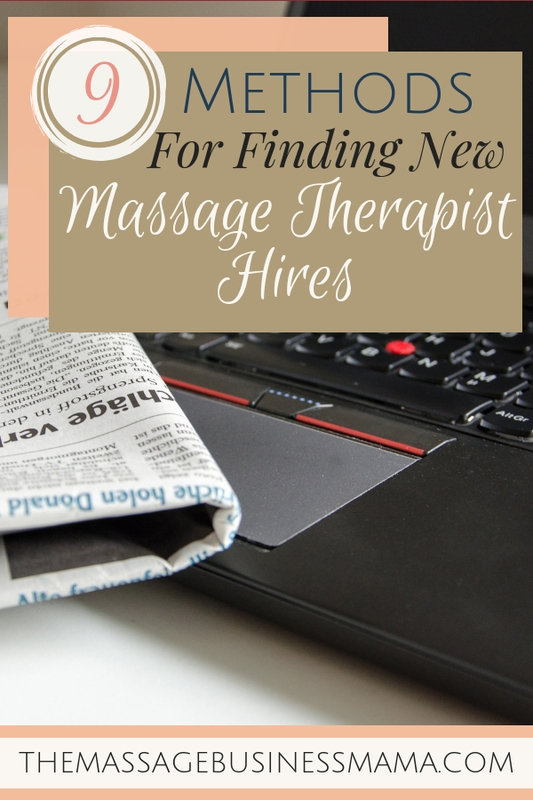 In this Post: It can be super challenging finding qualified massage therapists to work in your practice. Learn unique methods for finding massage therapists to hire, as well as tips for what NOT to do when hiring. Winter is my busiest time of year. Living in a ski town, our winter months are packed with adventure-seeking tourists ready to shell out a few bucks! This fall, I find myself about to enter into the winter season understaffed. I’m not going to lie, this fact is causing me some anxiety! With rising expenses, like hiring an office manager for the first time in the history of my business, it is intimidating thinking about turning a profit when I am short massage therapists. With these truths forefront, it would be easy to hire the first person I meet. But the truth is, when you hire out of desperation, you get desperate employees. I am reminded of this lesson time and time again when I rest on my laurels and hire someone against my better judgment. Intuitively you know when someone is going to work out in your establishment. It is far better to wait for the right fit than to try to make someone fit into your round hole of an organization when clearly they are a square peg. For more on this check out my 5 Reasons It Might Be Time To Let An Employee Go. I know that it seems scary to think about being understaffed. But the headache of having someone underqualified or with a bad attitude wreaks havoc on morale for you and your staff. Being understaffed the last thing you want to do is alienate the dedicated, loyal team that has been with you through thick and thin! Not only is hiring warm bodies hard on your existing staff, it is also hard on the reputation of your business! Think about all the energy you have put into having excellent customer service and therapists who genuinely care about the clients. All of this can be unraveled in the blink of an eye. Don’t let yourself get caught lying “naked on the floor,” with a completely unraveled sweater/business like the poor chap in Weezer’s “Sweater Song”. During times of uncertainty, it is crucial to take a step back and trust that your staffing problem will work itself out! That the right people will find their way to you, and that you should never hire just a warm body! 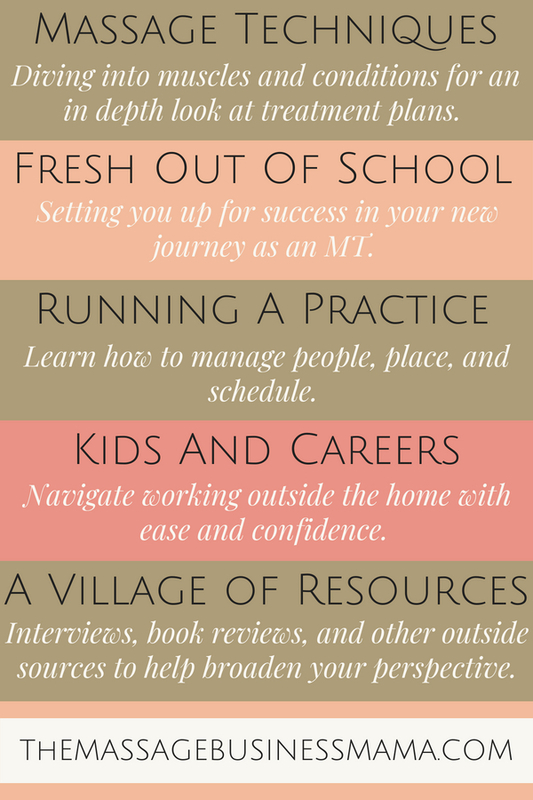 So what do you do when you just can’t seem to find people to work in your practice? Well, you get creative, you don’t settle, and you stay positive. Don’t panic. As we talked about earlier, panic only leads to poor hiring decisions. Trust that your staffing problem will work itself out. If you appear too panicked when a potential hire does walk through your door, they may be so turned off by your desperation that they choose to work elsewhere. Make sure everyone on your staff knows that you are currently looking to expand the team. Word of mouth has always been my best way of filling vacancies. You could go the traditional route and put an ad in the paper. I have not had great luck with this method, but maybe you will. Just know that it is pretty disheartening to run a $200 ad and have zero replies! Contact local massage schools to see if any students are looking for work. Sometimes you can participate in hiring fairs at massage schools. Post fliers in yoga studios, natural health food stores, and any other places where massage therapists hang out. Post online. You can post on your personal and business Facebook page, as well as in massage therapy groups that are tailored to therapists in your area. Put an announcement on your website that you are hiring. Reach out to therapists who have subbed for you in the past to see if they might want to take a more active role in your business. Proactively hire. Don’t begin hiring when you are desperate. When people ask me if I am hiring, my answer is always the same. “I am always looking for good therapists!” By keeping my radars continually out there, I tend to have fewer hiring emergencies. But, they still happen. When they do, I try to stay grounded and centered and trust that everything will work out the way it is supposed to. What I don’t recommend is poaching therapists from other practices in your area. I have been given this advice several times from experts in the massage industry. To me, this method is appalling, maybe because I live in a small town and I have seen how the ripple effects of behaving in such a manner can detriment a business! Maybe in a large city doing something like this wouldn’t be as bad, but I have a feeling that karma still might frown down on going into someone else’s business with the sole purpose of trying to steal one of their therapists. Stand tall and figure out less dirty ways to fill your staffing holes! Another thing to consider is the basic supply and demand curve. When supply is low, demand is up. Maybe you need to look at your understaffing issue from a different light. Clients might be more motivated to promptly schedule appointments when they find out that if they wait, that they may not get an appointment. If you find yourself continually having staffing issues, it might be time to take a hard look at your business. Is your business taking care of the people it has? Are your payout rates competitive? Do you expect too much from your people? Is it time to downsize? These are all tough questions, but important ones to take a look at from time to time! One of the issues I have had with hiring recently is housing. Housing has reached crisis level in our small mountain town, they cannot build fast enough. Housing costs have skyrocketed, while supply has decreased. The increase of Airbnb has caused units that were once long term rentals to no longer be an option. The reality of this crisis has caused me to become more active with the housing authority in my community, to try to figure out solutions to the problem! While this is not a problem that can be fixed overnight, it is one that deserves some attention! Another outcome of the rising costs of housing in my town is my perception on our prices. While I am paying extremely competitive rates to my therapists, I can’t have folks without mailing addresses. And really my business cannot afford to pay my therapists more than they are already being compensated. Therefore, some serious consideration is going into a price increase in the next year. Without reflecting on WHY I am understaffed, it would be really hard to figure out HOW to rectify the problem. Periodic reflection is a GOOD THING! Hiring can be hard! We spend so much time at work! Building a strong, solid team is essential. A team that you are proud of, one that you can communicate well with, and one that you enjoy being around. Life is too short to surround yourself with people you don’t enjoy! Hire with confidence, hire with joy and you will have a staff that sings your praises and is happy to give a little extra help when you find yourself in need. What creative ways have you found to reach potential new hires? Please comment methods below!